Narrated mostly by his wife and sons this film starts with asking what it means when something is Altmanesque. It is a testament to his influence that this is even in the film lexicon and various actors try and give us their definition of it throughout the film; disappointingly that’s the only contribution from these actors in this documentary. 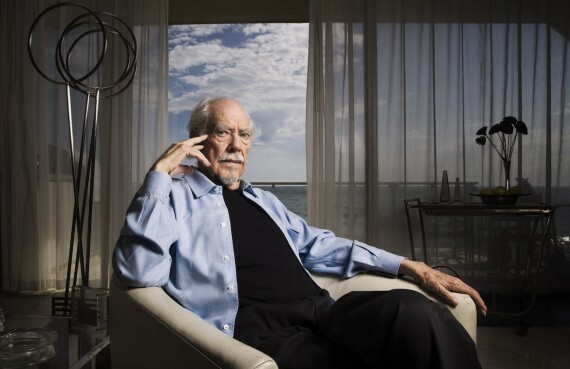 Portrait of American director Robert Altman in his home on September 26, 2005. Although it is an interesting whistle stop tour of his career this film despite seeing home movies, archive footage and behind the scenes stills seems a bit flat. I would have liked to hear more from his casts about his ensemble way of working; his best films used great ensemble casts; not allowing any one star to emerge. This is a loving portrait of Robert Altman but I wished for more; it could have done with some grit, something a bit more revealing and perhaps hearing from his peers in the directing world could also have added to the scope of this project. Worth a look from a film lovers point of view.